Andrew "Andy" Straynar, of Birmingham, passed away on Thursday, February 7, 2019 at the age of 94. He was a veteran of WWII where he served as a gunner's mate 3rd Class in the U.S. Navy. After serving, he returned to Birmingham where he was employed by Western Union and later managed Howard Johnson's Restaurant. In 1968, Andy purchased Bogue's Restaurant where he delighted many customers daily with his humor and dedication. He retired in 2000 after 32 years service. His passion for serving the public of Birmingham will be greatly missed. He was a member of South Highland Presbyterian Church. He was preceded in death by his adopted parents, John and Purnie Straynar; his biological mother, Rose Neely Roland; and a brother, Sidney Roland. He is survived by his wife of 74 years, Barbara Dean Straynar; daughters, Barabara J. Straynar and Stacey Straynar Falkner; a son, Gregory Straynar; his grandchildren, Christopher and Aaron Straynar, Maxwell, Evelyn and Brandy Falkner; great grandchildren, Sophia, Bella and Andrew Falkner, Peyton, Lillian, Daphne and Sheperd Langner, and Bryce and Kye Straynar; and a sister, Renae Fulmer. 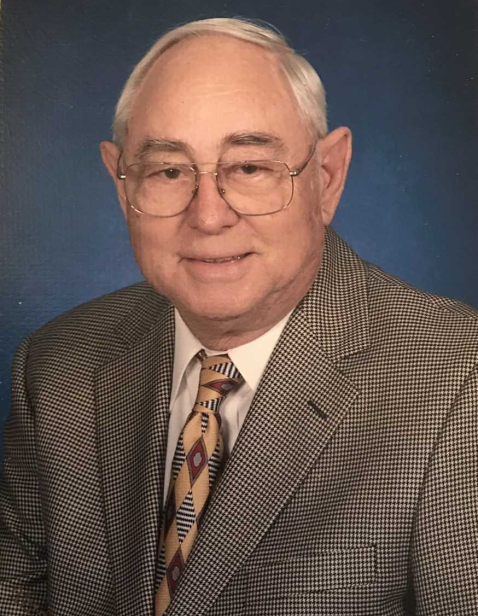 The family will receive friends on Wednesday, February 13, 2019 from 1:00 to 2:00 PM at Currie-Jefferson Funeral Home, 2701 John Hawkins Parkway in Hoover. Funeral service will follow at 2:00 PM in the funeral home chapel with`Dr. Larry Michael and Dr. Ed Hurley officiating. Interment will be in Jefferson Memorial Gardens, South in Hoover.